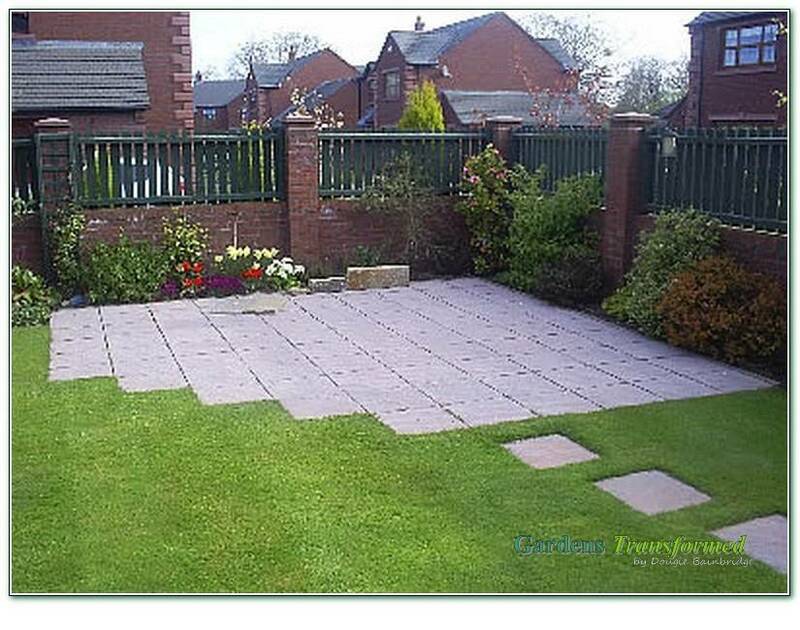 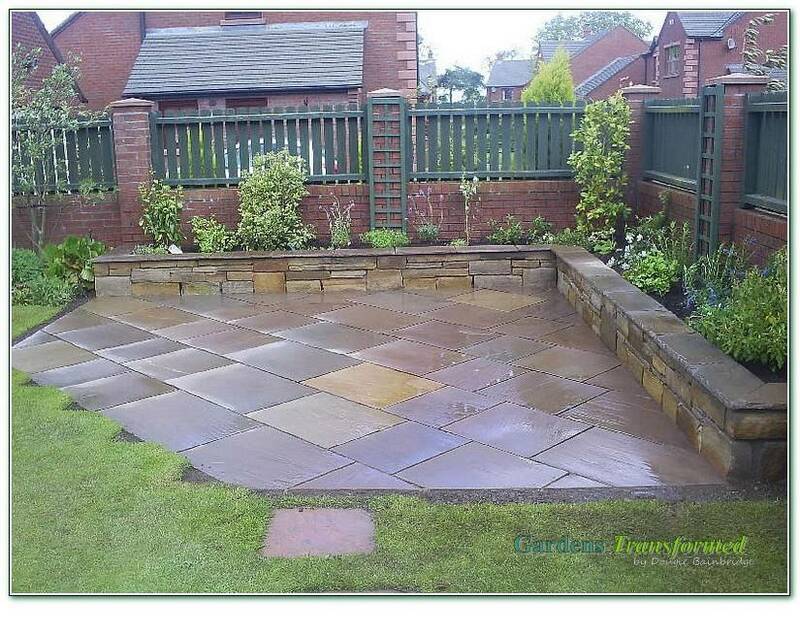 To add more style and ease of maintenance to a corner site of a lovely garden. 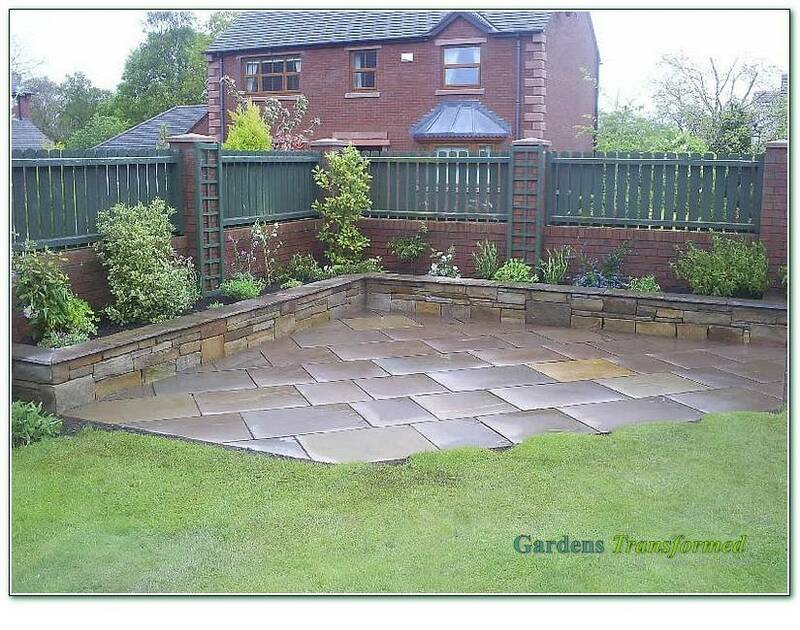 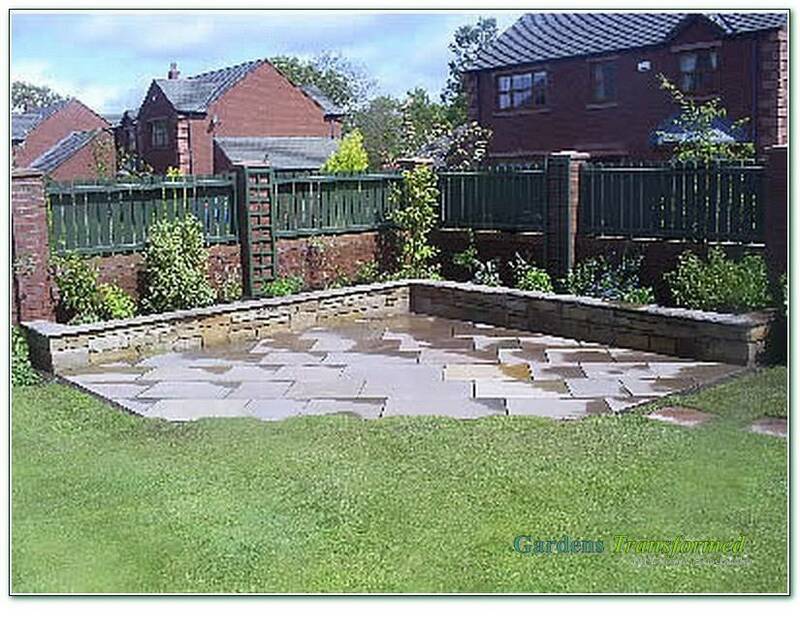 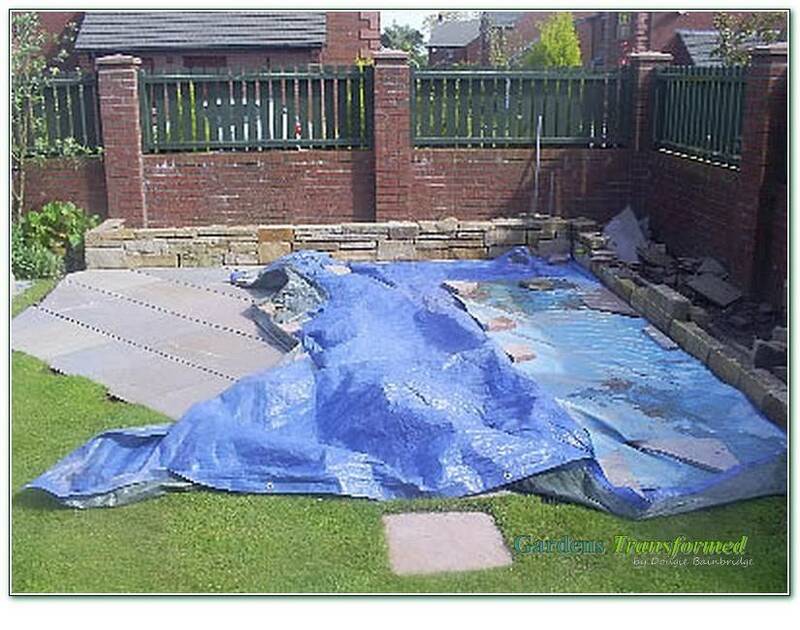 A classy premium stone patio laid at 45 degrees with a surrounding natural stone wall/raised bed, as well as an informal circular raised stone planter in the rear garden. 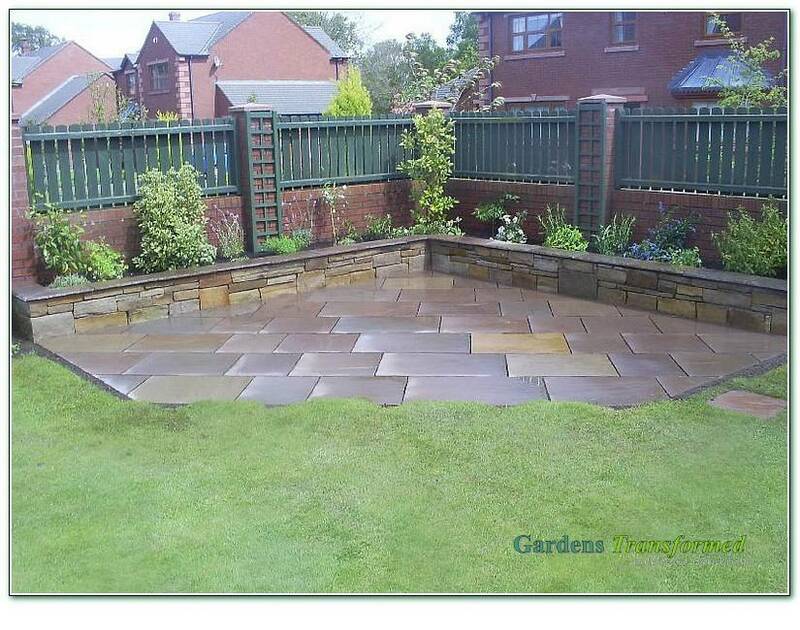 Great materials and very pleasing results.